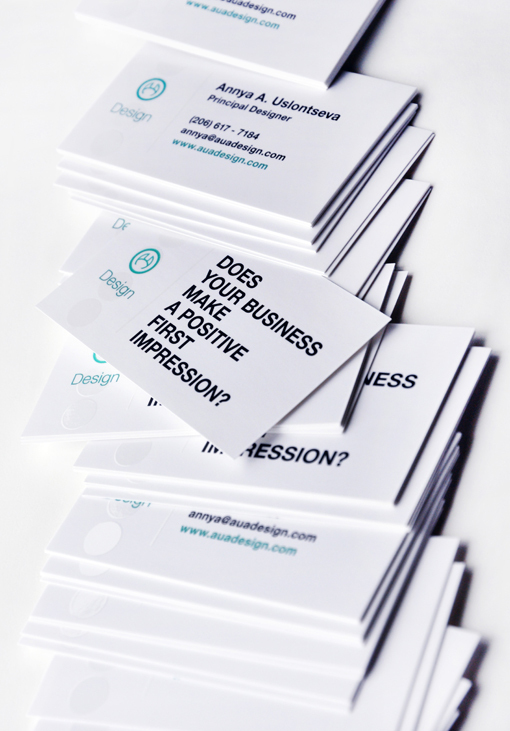 A lot of my clients commented on how much they dislike small type sizes on designer's business cards. So I wanted to design something new for myself keeping that comment in mind. I like to make my business cards 'work'. Like putting a 'call to action' tag lines, something that will make the client think about their marketing materials in a new way. The design turned out super clean and simple which I like. Silk finish with spot UV varnish makes them so much more special and so nice to the touch!